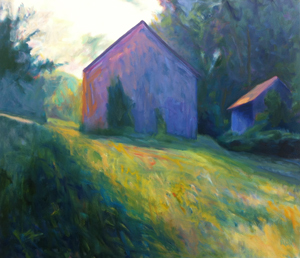 In collaboration with Ardie Russell of studio 518, Symmetry Gallery is pleased to present a special exhibition honoring the 40 year career of one of the region's most beloved landscape painters. Virginia McNeice's work is held in public and private collections throughout the northeast and most recently, her work has been purchased by Saratoga Golf and Polo to decorate the main clubhouse dining room. On exhibit will be a series of oils and her signature pastels, primarily of pastoral images with iconic agricultural themes. A perfect fit for the racing season!